Please select options for MMD Retro Mirrors - Pre-painted (05-09 All) at the top of this page. 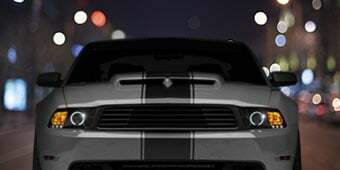 Hey everyone I’m Justin with AmericanMuscle.com, and I’m checking out a part that will add that very cool retro Mach 1 vibe to your ride, thanks to these pre painted MMD side mirrors for all 05-09 Mustangs. 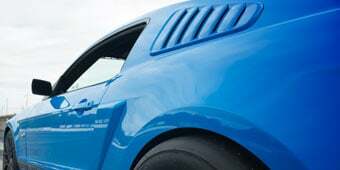 MMD is one of the big boys in producing unique and cool parts for your ‘Stang that will have people staring. Whether it’s retro or modern, chances are they make something for your ride. These mirrors draw their inspiration from the late 60’s and early 70’s Mach 1, which featured a more aerodynamic Bullitt shaped mirror which, in my opinion, flows much better with the lines of these S197’s, than those boring factory mirrors. These retro mirrors are painted right here at AmericanMuscle Headquarters, using the same base and clear coat that Ford uses in their factory. Or you can purchase these mirrors unpainted if you like, and choose to leave them in that black satin finish, for a more unique look. Included in the package are the new housings themselves, and new mirrors specifically cut to fit in these retro style housings. 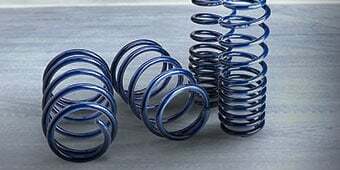 Obviously you will need to remove your factory mirrors and transfer your mirror motors and your harness over to the new housing, which is easily done by removing the 3 screws holding in the motor and the wiring harness. After that simply reinstall in reverse order, and that’s it, you should be all done in about an hour’s time. There’s no denying the late 60’s and early 70’s Mach 1 had a ton of cool factor, now thanks to parts like these pre painted mirrors from MMD, your S197 can enjoy a little bit of that same cool retro styling, with all the convenience of a pre painted part. Check them out. Retro Inspired Styling. 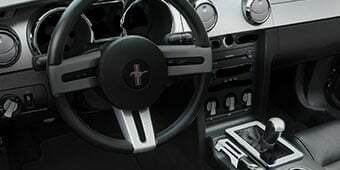 Complete the retro inspired muscle car appearance of your modern Mustang with a pair Modern Muscle Design Mirrors for classic race car styling. These MMD Retro Mirrors not only look great, but they come pre-painted to match your Mustangs factory color straight out of the box. Painted Here to Match 2005-2009 Factory Mustang Colors. These Modern Muscle Design Retro Mirrors are painted right here, at AmericanMuscle HQ, with the same base coat clear coat urethane paint Ford used on the exterior of your Mustang to match your stock color perfectly. High Quality Construction. MMD Retro Style Mirrors are manufactured from injection molded automotive grade acrylonitrile butadiene styrene (ABS) material for its superior durability and light-weight. Application. 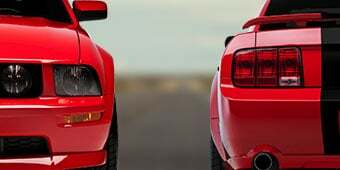 This pair of Modern Muscle Design Retro Mirrors are designed to fit the 2005 to 2009 Ford Mustangs, including the V6, GT, Bullitt, and Shelby GT500 models. Technical Note: The MMD Retro mirrors are sold without motors, it is required to reuse your stock mirror motors and installation hardware. MMD Retro Mirrors is also available Unpainted for those who like to do-it-yourself. what is the length and height of the mirrors? Are they smaller than the agent 47 mirrors? Car Cover Fit I have some concerns about the fitment of a car cover if you are using these mirrors. My cover fits snugly on my 07 GT with the stock mirrors and I am wondering if the cover will scratch or put excessive wear on these mirrors. Can anyone speak for the width difference on these mirrors over the stock mirrors or how durable the finish is? Thanks! These do not stick out as far as the stock mirrors did. I haven't had any issues with the finish on mine and it is covered daily. They're quite a bit smaller so you'd probably end up with some room to spare...!!! The retro mirrors are narrower and smaller than the OEMs. If the OEMs fit under the cover, so should these. Is it possible to reorder replacement mirrorglass? My driversite mirrorglass is broken. The mirror is sold as a complete set. The mirror glass is unavailable separately. Does this come with mirrors or is it just the plastic cover? This kit will include the mirrors. Please note that these mirrors will reuse the stock motor and installation hardware. The MMD Retro Mirrors currently are not offered in the Highland green color at this time. Unfortunately the MMD Retro Mirrors are a non folding mirror. At this time we do not offer any folding side view mirror options. We do apologize however we would not offer dark highland green as a color due to it being a little more of a rare color. At the current time, these are not offered in chrome. Convex, just like the factory. I am extremely happy with mine. See the installation instructions; you reuse your stock mirrors and motor assembly. These are just housings, you have to remove the mirrors from your stock mirrors to install in these. I purchased these mirrors about a year and a half ago and they provided a convex mirror for the passenger side. It is 3 3/4 by 6 1/4 inches. It is a sizable amount smaller, but it only took me a day to get used to the difference in size. The finished look is so much better than the OEM. Also, the air flow at speed with the windows down on the coupe is much better. Hope that helps. No, unless you have the glass on the factory morrors cut down to fit. Yes, you swap all your electronics from your stock mirrors to the new one. Yes, you can take the mirrors to your local body shop/painter and get them painted. I had a set of painted blue ones. I think you should reconsider. The all black off-sets the car really well. I'm not sure if there is another blue car posted with the way the black mirrors look on it. I did post a picture after I switched mine out. You should check out the way the all black looks. Yes. 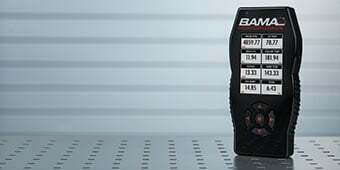 You simply remove and reinstall the factory motor as indicated by the instructions and the new mirrors will power adjust just like the pair you replaced. These mirrors do infact require the transfer of the power mirror motor assembly from your original mirror. This is actually what holds the mirror glass. By following the step by step instructions provided, and handling the electrical assembly with care, I found this operation to be fairly simple. A T10 Torx driver is all that's needed. The mirrors use the stock motors from your factory mirrors, allowing all normal adjustments using interior controls. Yes they will. Just make sure to check the function before fully installing. With proper adjustment, they have the same coverage as the stock mirrors. These mirrors have FAR less visibility than stock however the external appearance is much more appealing than stock. The MMDs are the third set of mirrors I've had on the car having replaced the oems a couple of years ago with agent 69s. The mirror area is slightly smaller than the oems and basically the same as the agent 69 mirrors. I recall a brief adjustment when I removed the oems but the the race style mirrors work just fine for me in terms of visability. Hi 06LimeGT The blind spots are still there, but for some reason I have mine set so they are not as bad. I went with the prepainted option. Well worth it. Matches my RedFire perfectly. Fitment was absolutely perfect. Instructions were clear and colorful. A perfect addition to my build. Would recommend to anyone wanting to compliment the retro theme Ford did with the S197. It fits the lines, they fit perfectly, and people appreciate the way it accents the look. Replace the truck like mirrors with a clean, sleek, stylish, look. They look great, are functional, and compliment other changes to my Mustang. Took me a while to finally order these. Overall happy! The look the fit the install all good! Only problem I have is the drivers mirror is wavy! 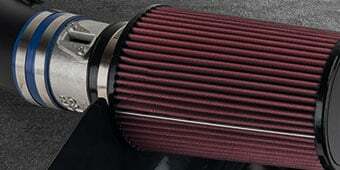 Kind of pricey , dont see why you have to switch out your old motors?? But they definitely improve the look of the car. These mirrors look fantastic. The paint matches perfectly. It really changes the look of the car and quite frankly they should have come from the factory this way. Easy to install too. Took less than an hour. Mirrors were easy to install, just follow instructions. Hey guys if you’re like me you probably looked at these mirrors a bunch of times and were either put off by the price or the reviews that talk about mirror size /quality. I looked at these for months - added and removed from my cart a couple times too - and finally picked ‘em up. Man am I happy I did! They look great, much nicer than OEM. Totally sleek and the paint match is spot on. 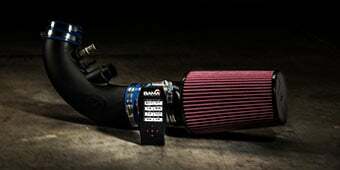 Yeah they’re spends but once they’re on you will forget about that, they add that much to your stang’s appearance. Install was easy thanks to the help of the hobbystinator’s YouTube vid. I’m not mechanically inclined at all and I did it. You will need a 7/16 deep socket or offset a 5/32 and a torx bit to complete install. Buy ‘em, love ‘em! These mirrors are nice upgrade to the look of my 06 GT convertible. They are much sportier than the OEM mirrors. It was an easy install and the color match is perfect. Thanks for a great product. Great looking mirrors. Had them painted to match the Bullitt dark highland green, and they look like they came stock on the car. The glass is smaller than stock, but still provides good view. Installation was very straight forward with no issues. Great upgrade. Installation was easy in my 2006, just don't drop a nut into the door. My only qualm is that the driver's side mirror doesn't angle away from the car as far as I would like. It allows me to see the back end of my car but not as much the lanes next to me. First I would like to say the ordering process and delivery are really good. As for the mirrors, not worth $199!! They are plastic (worded to sound good) but to me could be much stronger. If I would have bought the painted ones, I could see maybe $150. As for the instructions, they neglect to tell you when taking the old mirrors off there is no way the connector will fit through the hole so you can pull the motor out. What is worse is the hole on the new mirrors is smaller. You have to cut the wires to in order to feed them through. I also don't like the way the mirror glass sits, should be inside more. 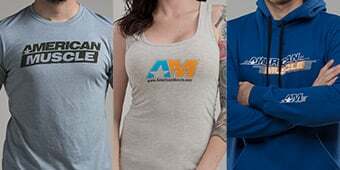 I am usually pleased with the products from AM, but not this time. 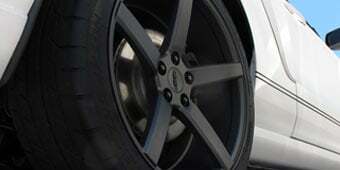 The satin black go perfect with satin black hood plenty of compliments on my 06 mustang GT. I bought these mirrors to replace the factory style and give my car a more sporty look. Removing the factory mirrors was easy and removing the guts was no trouble either. The only hard part was trying to keep from dropping a nut in the door, which I did too. I'm very happy with the looks I got from these mirrors and the relative ease of disassembly and assembly. First mirror took about 45 minutes, second was half that.